Jul 30, 2017 at 09:14 AM | 161 Views | Last edit Jul 30, 2017 at 02:41 PM 2 rev. 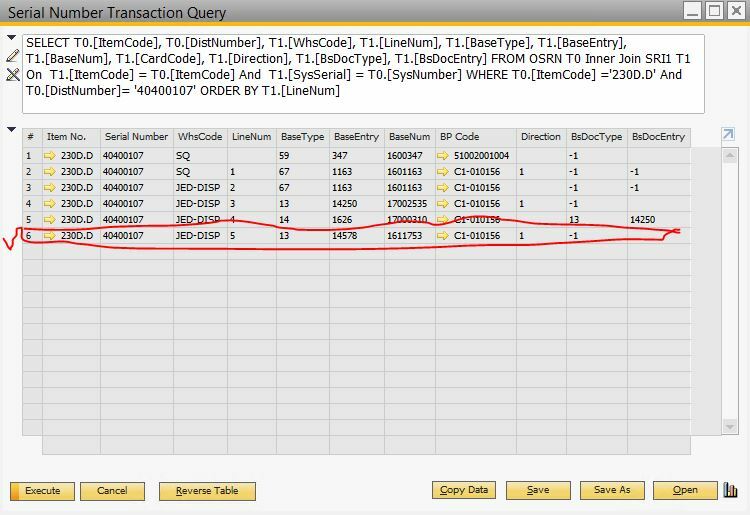 I have small issue, I need to create a query to get the last transaction in the (Serial no transaction report). Or how can I know where's the serial available now? the standered report give me the same result, but I need to use the Query to give me just the last Transaction for the specified Serial (As Pic. showing).